What do we want? Infill housing! How do we get it? We have no idea! As 2018 came to a close, Winnipeg Mayor Brian Bowman stood on the western slope of Westview Park and smiled for the cameras as a new and somewhat permanent "Garbage Hill" sign was unveiled to the public. In 2017, the mayor stood by a berm at The Forks and also grinned as a "Winnipeg" sign was illuminated in time for the Canada Summer Games. In 2016, the mayor wasn't beaming at all as he stood on a political hill he was entirely prepared to die on: the introduction of growth fees, which the City of Winnipeg calls impact fees, even though they have nothing to do with asteroids striking planetoids or any other major collisions. The fees apply to new developments in some outlying neighbourhoods of Winnipeg. Developers dislike them — a legal challenge against Winnipeg's authority to levy the charges is still winding its way through the courts at the speed of a large and heavily sedated sloth. In defence of growth fees, Bowman argued Winnipeg had to raise money to cover the cost of new developments. While new 'burbs contribute new property taxes to city coffers, they also require the city to build and maintain new roads, sewers, water mains and recreation facilities, and to extend the reach of police, paramedics, firefighters and other services. "As a city, we need to be thinking about and planning today for a future we know is going to create increased demand on existing city infrastructure and services, as well as for new infrastructure and expanded services," Bowman said in 2016. "It is not enough to only be building Winnipeg for today. We need to be building Winnipeg for the future." In theory, growth fees disincentivize urban sprawl — which is costly for cities — and make development in older neighbourhoods more attractive. But two years into the future Bowman envisioned when he rolled out the fees, the city has yet to siphon a penny away from the $11-million kitty it amassed from growth fees, mainly because of the legal challenge from developers. At the same time, the city has yet to decide whether it will follow through on a plan to expand the application of growth fees to new developments in older Winnipeg neighbourhoods. City council property chair Brian Mayes (St. Vital) said Friday the prospect has yet to be ruled out. To urban planning nerds, it may seem counterproductive to apply growth fees to infill development, which is the type of growth cities all over North America are trying to encourage. 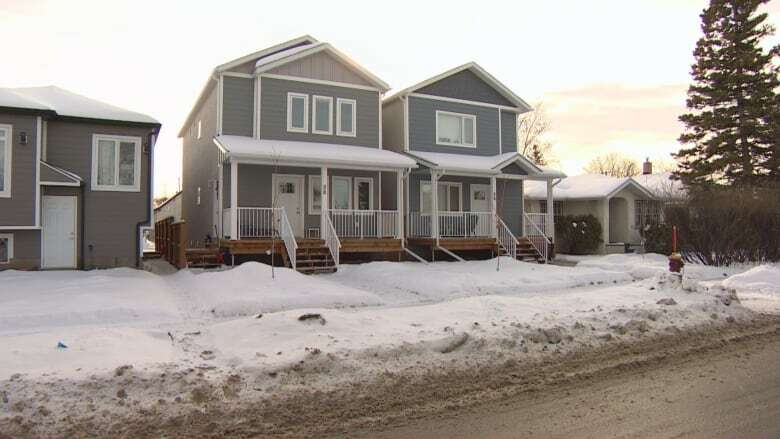 Is infill housing the answer for Alberta's biggest cities? In theory, infill housing is cheaper to service and more sustainable because it doesn't require the construction of all-new roads and other forms of infrastructure. Mayes said he's not convinced infill pays for itself. On Friday, he said any increase in population results in greater stresses on Winnipeg's sewage-treatment system, for starters. But at the same time the city is contemplating new fees for infill developments, it's also considering restrictions on new homes and other residential buildings that rise in older neighbourhoods. On Monday, council's property committee will consider new infill guidelines intended to "improve compatibility of infill with older homes in the neighbourhood." The new guidelines will take three years to complete. But city planners would like to change zoning bylaws this year in order to eliminate the construction of "skinny, tall and long houses" that "result in a wall-like condition along the property line." 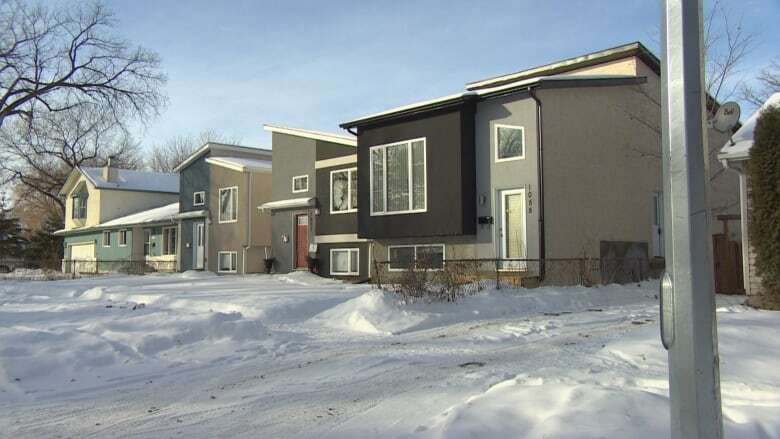 In a nutshell, Winnipeg's urban-planning division says it's got the message from Winnipeg homeowners: they don't like it when an empty lot on their street or an older home on a single lot gets replaced with two narrower, often taller, homes or mid-rise condo complexes. Invariably, residents who raise concerns about infill housing say they're not opposed to it — provided it looks just like what's already on the street in question. "There are thoughtful kinds of infill in which three condos get built in a building that looks almost exactly like its neighbour," said Joanne Seiff, a Crescentwood resident who lobbies for more compatible infill. "That would triple the capacity in terms of the number of families, while at the same time maintaining the same amount of green space and not encroaching on the rest of the neighborhood. It's possible." The sentiment is understandable. The problem is, replicating what exists in Winnipeg may not go very far in making the city more sustainable, either financially or environmentally. The existing stock of housing in much of Winnipeg, like other cities on the Canadian Prairies or U.S. Great Plains, is not laid out in an overly dense manner. Homes in newer Winnipeg neighbourhoods tend to sit on smaller lots with smaller yards. 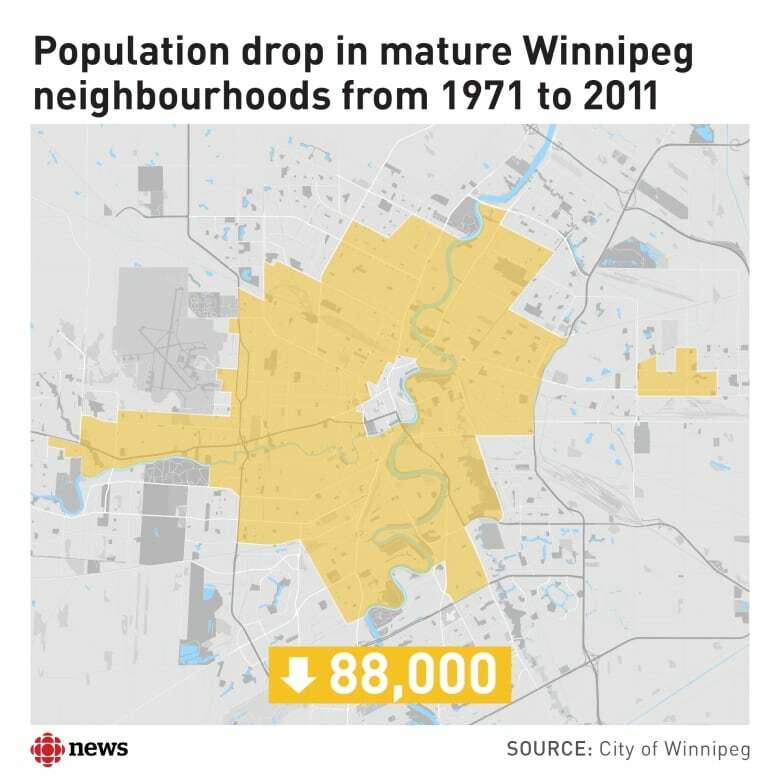 This is why Winnipeg encourages the splitting up of lots, as well as the construction of taller residential buildings in some older neighbourhoods. While not all of the 'hoods can handle the same degree of density — mid-rise condos obviously make more sense in Osborne Village than they do in Wildwood Park — Winnipeg's overall planning directive in recent years has been to build up instead of out. There is no question Winnipeg needs clear guidelines for infill development. Right now, neither residents nor developers are clear on precisely what the city wants in terms of infill, never mind what it will allow. The current lack of clarity at city hall requires residents who oppose infill projects to appear before board of adjustment and appeal committee hearings, sometimes winning and sometimes not. Developers, likewise, face a similar gauntlet of uncertainty. "One of the biggest things that we need to do is is hurry up and get some infill guidelines," said Tim Comack, vice-president of Ventura Developments, which fought city hall and eventually won the right to build a mid-rise condo building in Crescentwood. But while he'd like to see those standards sooner rather than later, he's not interested in the form of standardization sought by residents like Seiff. "I understand why people want things to match and look the same. It's a bit monotonous to me as an individual and it does stifle architecturally significant projects that are in line with current trends and design standards," Comack said. "There's a balance between the old and new. I can certainly tell you that in the 1900s they weren't building homes to match what was built in the 1800s." Architects may have even stronger views. A brand new faux-colonial that rises alongside real heritage homes may be seen as more of an esthetic abomination than a postmodern design that doesn't pretend to be anything but new. Whatever guidelines are created for infill housing, Winnipeg's urban-planning division is bound to make someone unhappy.